Some things we eat are not noble. They are just astonishingly, lip-smacking good. Onion dip is one such item. Inspired from the packets of french onion dip mix and prepared dip eaten at gatherings, this retro-inspired dip purloined and adapted from Southern Living magazine is an admittedly guilty pleasure. 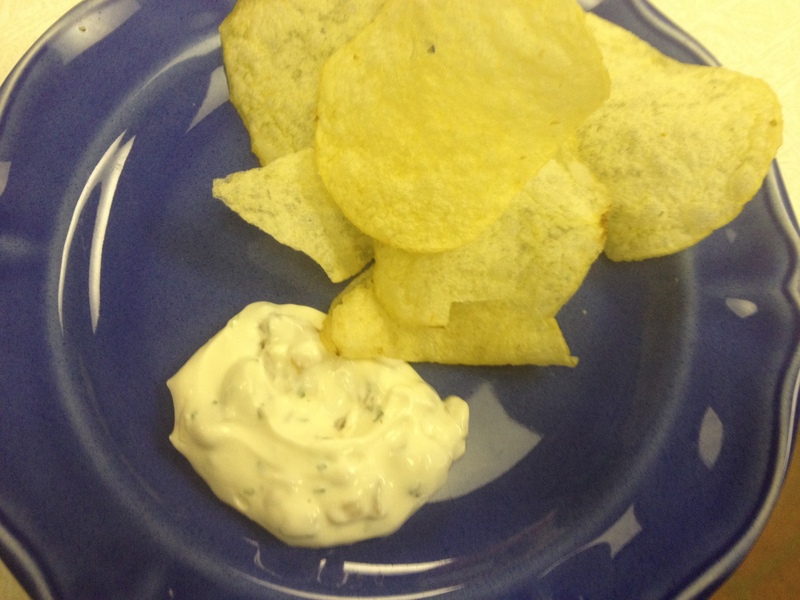 Some virtuous people have been known dip raw vegetables in this concoction, others simply go for the classic standby, potato chips. It can be used as a salad dressing and bread spread. I have seen people swoon over this. Hide some in the back of the fridge for yourself when you make it. You can make it as tangy or creamy or oniony as you like. Just don’t try it with reduced fat sour cream and mayonnaise. I did once and it was the only time the onion dip remained uneaten. Caramelized onions are one of the best investments a cook can make. They are great on focaccia or pizza, and this dip. Make some today and keep on hand. caramelized onions: chop as many onions as you wish into dice. Put in a hot pan with oil and butter. Salt, pepper, and stir, tending to occasionally and keeping heat low enough so they don’t burn form the natural sugars. Add more oil as needed. Keep tending for 20-30 minutes. Caramelized onions like to be stirred occasionally, left alone, and on low heat. Kind of like some people. 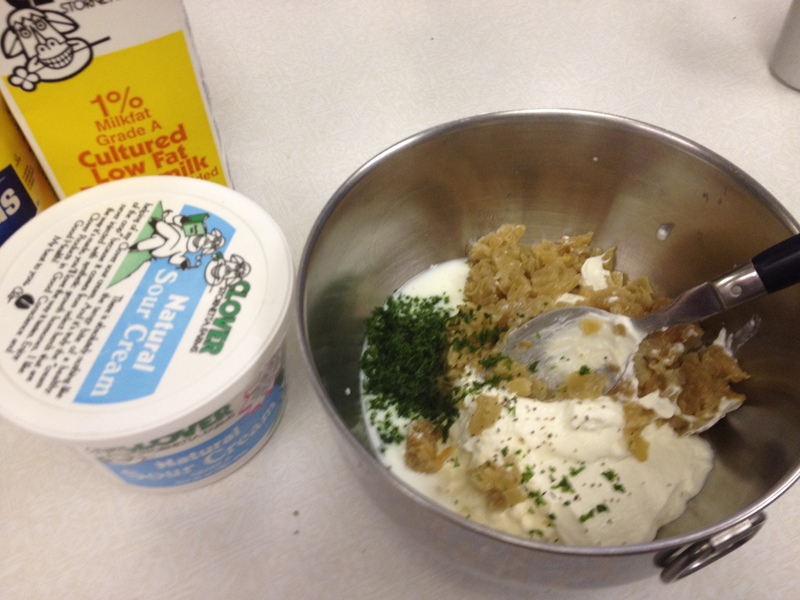 1 part mayo, 2 parts sour cream, 1 part buttermilk is the dairy ratio I prefer in this recipe. Tangy but mellow. Perfect after blending but even better the next day after the flavors blend and the caramelized onion bathes in dairy goodness. This entry was posted in Uncategorized and tagged appetizers, caramelized onion, delicious, dip, kitchen.